The Hard Rock Hotel Vallarta will transport you and your wedding guests straight to paradise from the second they enter the soaring and entrancing lobby. Situated in a private enclave, the tropical flora and pools lead directly to the jaw-dropping Vallarta beaches, a perfect location for a destination wedding in Puerto Vallarta. 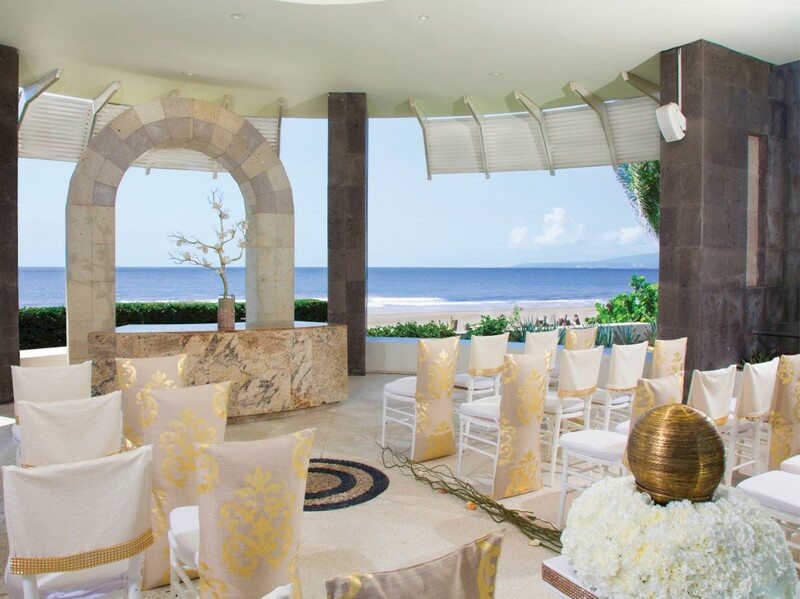 Nestled in the ritzy enclave of Nuevo Vallarta, and featuring chic decor throughout, your Hard Rock Vallarta wedding will be the perfect blend of tranquility and style. 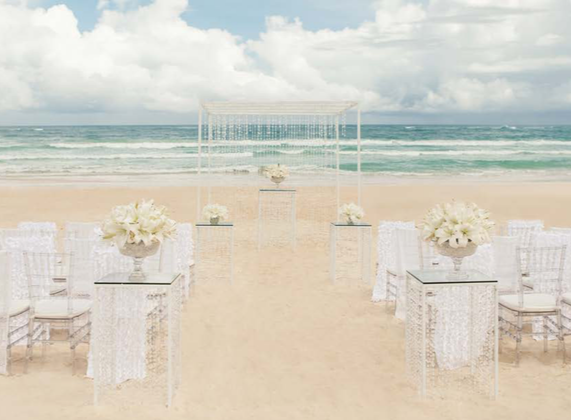 The beautiful stretch of white-sand beach makes an ideal ceremony backdrop. The upscale rock spa is a luxurious spot to treat any bride and groom, before or even after the wedding. Free one-hour cocktail reception for booking a combination of 29 room/nights or 5 – 9 rooms for a minimum of 3 nights. Free private two-hour function (may include dinner and/or cocktail reception) for booking a combination of 30 room/nights or 10 – 19 rooms for a minimum of 3 nights. Free private three-hour function for booking a combination of 60 room/nights or 20 – 24 rooms for a minimum of 3 nights. Each package welcomes 32 guests. Hard Rock does offer a complimentary wedding package that includes a free and minimally white setup but will incur a fee of $1000 if booked 30 days prior to the event. Hard Rock Vallarta offers a wide range of decor setups and can accommodate Indian weddings. Upgraded packages, additional guests, and add-ons are available for an additional cost. $175 – $240 average price per person per night. Rooms include free wifi, double hydro spa tub, liquor dispenser, and coffee maker. Children 3 and under are free. 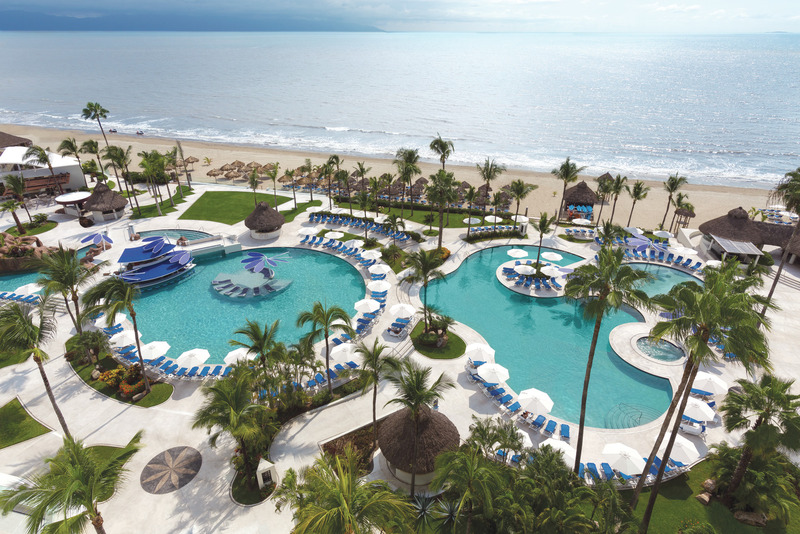 Hard Rock Hotel Vallarta offers 348 rooms, with resort, pool and ocean views. The resort is great for guests who want a relaxing and secluded location. Beach – unlimited capacity, Wedding Gazebo – 50 guests max. 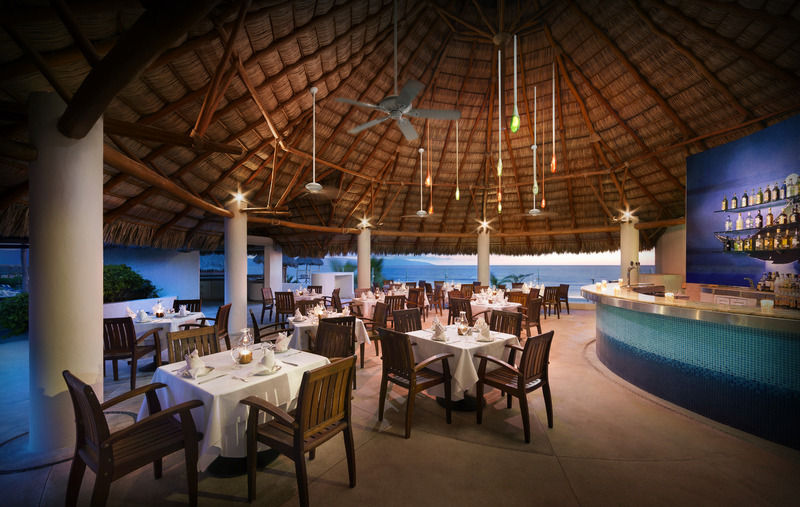 The Hard Rock Vallarta can host up to 8 weddings per day scheduled accordingly amongst the 2 venue locations. The busiest months are in the summer with high chances of sell out in May, June, July, and August. The resort is located 13 miles from the PVR airport. 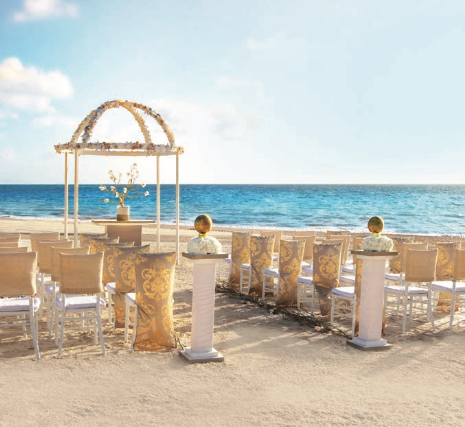 A: Over 450 weddings for Hard Rock Resorts. Q: What makes Hard Rock resorts a great place for a destination wedding? A: The benefits that we provide for our couples, along with group benefits. A: That everything planned was delivered and it looked beautiful too! A: Helping make the bride’s special day come true!